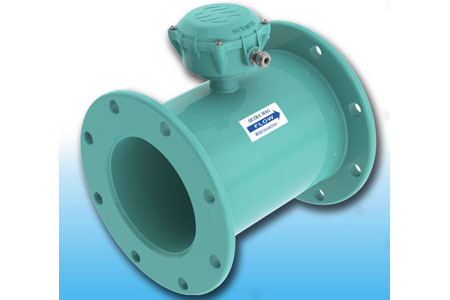 The Ultra Mag is an advanced, leading-edge electromagnetic flow meter (flowmeters). It’s field-proven for the specific needs of the water & wastewater industries. The unit’s unique NSF-approved UltraLiner™ provides superior electrical insulation as well as excellent protection against corrosion and abrasion. The Ultra Mag sets a new standard for performance, ease-of-use and value. It is designed specifically for liquids, slurries and sludge. It uses a non-intrusive measurement element. Debris/solids will not clog the line. The Ultra Mag is excellent in hard-to-reach, harsh environments requiring minimal maintenance. It’s ideal in water well production, pump stations, industrial/municipal water & wastewater and more. Magmeters provide worry-free flow measurement where high accuracy over a wide flow range is critical. Unlike mechanical flow meters (flowmeters), there are no moving parts. Measurement is unaffected by changes in fluid density and viscosity. The Ultra Mag is an exceptionally stable and reliable flow meter.